The idea of this group coming to together was because of Otaku Gamer Zone. The worldwide uproar of Donald Trump becoming the next president and in general of how much dark negativity there is around us. Our group’s mission is to want to spread the positive flow around and hoping in our numbers to make a difference. Nearly every month will be having a blog tour where all members post on their own blogs, on the related topic we are covering that month. For the month of January we are covering the topic “Disruptors” . The meaning of this word is seen in a negative light, where the balance is upset. An example of this can be you have a new manager at work, they are horrible, treat you like nothing and think they can get away with putting down others. Just because they think they have the authority. This month we have been looking into this topic in a positive light through anime as their are many anime examples my members have used, demonstrating those characters or groups who will defy that wall that blocks them, to break the chain. The topic disruptors is a meaningful subject to me, from a personal perspective. Myself I have always believed in the righteous, good path. Their’s one anime that instantly popped into my head that could explain how I feel on this topic and that is Samurai Seven. In the far distant future, on a planet that might have been called “earth”, there was a war between samurai who mechanized their bodies. After the long war, people enjoyed a modest peace. Facing starvation and abductions at the hands of fearsome mechanized bandits (Nobuseri), the farmers of Kanna Village make the dangerous choice to hire samurai for protection. The village’s water priestess, Kirara, her younger sister, Komachi, and a heartbroken villager, Rikichi, set off to hire willing samurai with nothing to offer but rice from their meager harvests. Through dangerous encounters and a bit of luck, seven samurai of varying specialties and experience are gathered for an epic battle against the bandits and the merchants that influence them. This anime series was inspired from 1954 original movie Seven Samurai, the premise has been tweaked for the anime but holds the same concept of villagers hiring samurai to defend their home. The plot right off the bat sounds really generic?? But time and time again I have been amazed by the influences and inspiration, studios and directors take from reality and create something so meaningful when it comes to anime. Samurai Seven is one of those rare series, where things may have been tweaked but 100% great example for the topic of Disruptors. Now who are actually the disruptors in this series? Fellow member Crimson in her disruptor post talks of their belief in being able to make a difference not just on your own but in numbers. It’s like a reactive chain that one person starts then others follow. The village of Kanna only just getting by, like many other villagers are terrorised by Mecha bandits known as the Nobuseri. The Nobuseri are only a small faction of the problem as the main source of power is the reign on the Capital. Picking off one by one each village, places the fear for noone to oppose them but that’s where our first disruptors come in and start the chain Kirara, Komachi and Rikichi. The whole village of Kanna sends these three into the capital in search of hiring Seven Samurai to help them defeat the Nobuseri, the capital. It’s a cruel, desolate world these characters live in, age of the Samuari is nearly dead, lost of pride of samurai, leaving in misery. Kirara is the main one that starts the chain reaction of change in the series, Her unwavering belief and honing her water priestess abilities to seek out the seven Samurai that will aid them in their cause. I liked her a lot, very level headed and strong female character. Each Samurai they come upon, they don’t have money to give as payment but their home grown rice. The ones who chose to accept this payment, these Selfless Samurai show true kindness in it’s greatest form. Though Kambei was the most stubborn at first to accept as he was a faded man who lost is purpose, gave up after all the loses in his time. The driving passion and words of the Kirara, Komachi and Rikichi affects each samurai, their raw desperation and will to carry their villagers request. Each scene of each Samurai they encounter is touching, the feeling of feeling needed, a few encouraging words makes a world of difference. Kirara, Komachi and Rikichi started the disruptor reaction of putting themselves out their, for the sake of their lively hood to start something moving. Now the chain is flowing next that creates the biggest movement are our Seven Samurai take on. The biggest brunt of their task, knowing full well they could loose their lives. Each Samurai is different in their reasonings for accepting this gauntly task which others would think to reject. The three in the picture above Kambei seen as the leader, Gorobei war veteran, Kikuchiyo all metal no special samurai skills, actually a farmer. Katsushiro the novice, Kyuzo silent selfish, Heihachi the genuine one and Shichroji the good guy. None of these men are all heroes, but Kirara saw something in them through her water priestess skills and intuition, each coming from a different background brings about this grounding bond between this stranger samurai group. Soon as this strong bond was established between the samurai they became the main hope, light disruptors that would pave this miracle. What I learnt from Samurai Seven is the meetings among people can create something miraculous, taking the efficient for yourself. Faith through the villagers plea and Kirara strong will put faith in each of these Samurai, they found a meaning, a purpose of what they can do right now in that moment. Their battle they are run into the ground big time by their foe, many doubtful scenes in the anime of everyone feeling if they can defeat the Nobuseri. The Samurai’s enemy are just cowards, shells of men samurai’s who decide to hide behind armour in order to not look weak. This is where too much pride ends up driving you into a corner such as this, noone wants to look weak but those take advantage for their own filling their egos. Hiding behind supreme power instantly makes you weak, bragging out about makes you look weak, this was the downfall of the capital and nobuseri. It takes a lot of greatness to keep moving forward not leave yourself with pointless thinkings of, Is this fight worth it? Can we make any difference? For the seven samurai only option they had was to just do, even if things would be on the edge’s brink, the end main fight between village Kanna and Nobuseri is a memorable one for me. It demonstrated the selflessness each samurai possessed within one another, knowing full well what was at stake, it’s what brought a tear to my eye. Samurai Seven is a story of selfless samurai who have nearly become a faded memory and the plea of a small number, puts purpose for them again. This says about life in general how the power of words from others, surrounding yourself with positive people are all you need to sweep away any doubt or negativity. There’s this evolution of chain reaction in the series of Disruptors starts as a tiny flame of burning passion and then ignites like hell fire, which becomes a force to be reckoned with. The greater in numbers, the greater success and miracle your making for yourself and your goal. It takes someone to start a movement then others end up joining and that following only grows bigger which is what Samurai Seven represents so well. This series a dear favourite, it’s not the happiest watch at points but it made it’s self memorable in what I have addressed in this post. Great post Lita! I haven’t seen this anime but I hear it’s a classic gem. I agree with you. Even though seven is a small against something greater, it takes teamwork and determination to make a difference. Thankyou dear XD Oh really you know the director of the original inspiration for this anime COOL !! Nice write up. I really enjoyed this series. Your post has inspired me to dress up as an owl tomorrow at work and beat up that mean manager who complains that I take too many coffee breaks. Hoot! Nice post, Lita! Yay! A great finale for our first ever blog tour as OWLS. I’m so proud of our group. And great point about the fact that there’s strength in numbers. We, OWLS, are a testament to these. We grouped together for a purpose in spreading awareness about various social issues within the fandom. Moving on to Samurai Seven, I’ve watched this anime when I was younger but I don’t really remember much about it now. I think I must revisit it again. So interesting! You reminded me of a childhood anime. Thanks. And I’m looking forward to seeing the disruption caused by the samurai when I do revisit this anime again. Cheers! While I’ve still yet to see Samurai Seven, I have heard only great things about it. Piggybacking on how you tied in Crimson’s thoughts on group disrupting with your own words, I strongly believe that having faith in your fellow disruptors is key. Without it, that sense of anti-unity or distrust would tear the group apart, ending the movement. The characters in this anime seem to have this under control, which is why I would consider checking this out. Another thing that intrigued me was the setting. Something about the end of the samurai age makes me curious to observe the atmosphere. Nice job, Lita! Flashback Friday two weeks in a row Grimms ❤ I'm feeling pretty proud of myself. 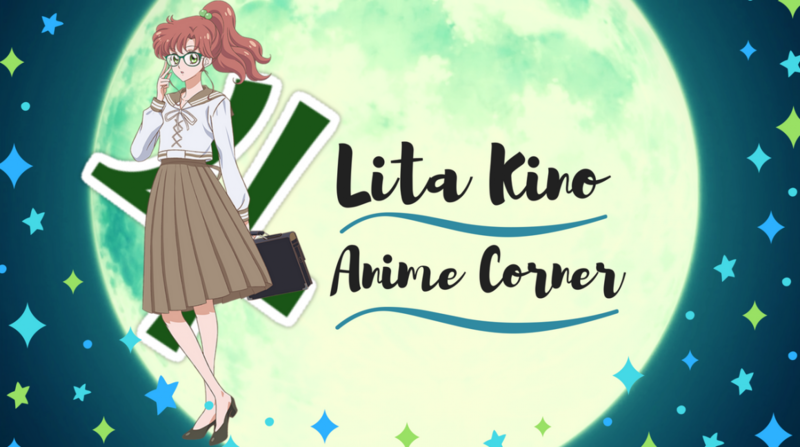 The last Flashback Friday for the Disruptors OWLS Tour goes to Lita Kino from Lita Kino Anime Corner. You should recognize her from our OWLS Livestreams on top of her many other ventures. Here's the thing I love about our OWLS Tours (well one of the many things) not only is a way to topic about interesting topics using anime but it is also a fresh way to become exposed to new anime. An OWLS post isn't a standard review of an anime but we do discuss anime and bring up points that might make a person really interested in checking that anime out. Lita's post is a prime example of that. Not only does her post raise great questions on a serious level, like what does it take to make a difference? But it also makes you curious about the show she is discussing. I personally had never heard of the anime Samurai Seven until I read this post by Lita. I hope you all enjoyed this walk down memory lane and I look forward to seeing what you all have to say! Have a great weekend, I personally am pumped because it will be the Packers (American football) first game of the season. They're the only sports team I really get into besides Karasuno (anime volleyball team). So wish my team luck!